Nestled obscurely amongst a row of shops in Black Forest is a gem of an Indian restaurant serving authentic cuisine with a North Indian influence. Driving down South Road one evening in search of a place to satisfy my urgent need for good curry, it was only by chance that I happened upon Chapati House 2. If I'd blinked, I would have missed it. Walking in the door on my first visit, it was immediately obvious that the place had already been discovered. 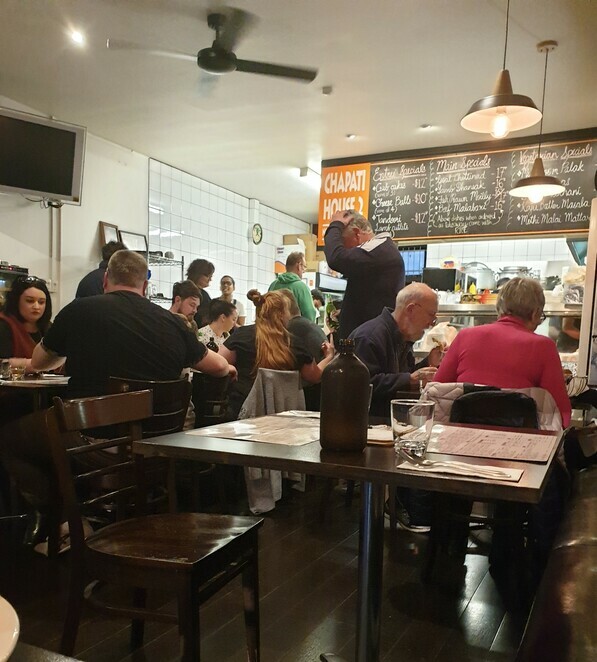 The restaurant was full and abuzz with lively chatter. Fortunately, though the welcoming staff managed to find me a last remaining seat amidst the throng. Looking around the venue, the place had undergone a modernising renovation. Along with subtle Indian influenced décor, a number of wall-plants hung from the walls that had been lined with white subway tiles. Hanging lamp lighting warmed the atmosphere, combining to give the space a fresh and contemporary feel. Adding to the vibe and authentic feel was the sizzling and busy chitchat emanating from the team of chefs in the open kitchen. 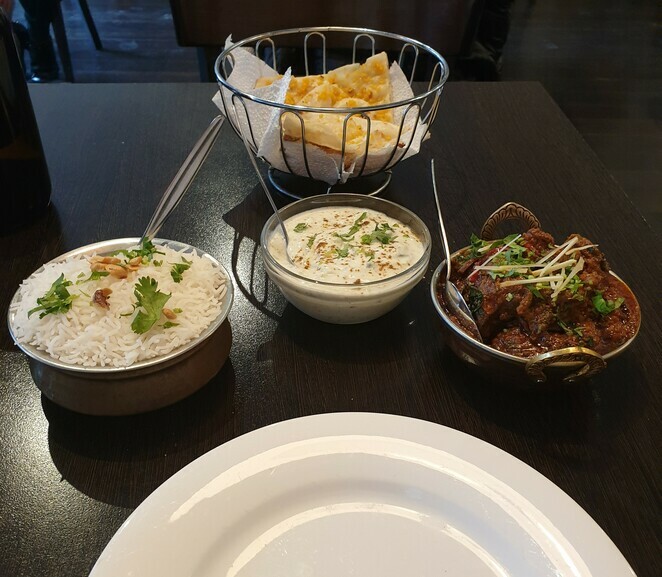 The modestly priced menu offered the full range of popular options including Vindaloo, Madras, Korma and Rogan Josh and a large range of entrée and naan bread options. They've also got Tandoori Roti and Prantha on the list, as well as a large range of vegetarian options. Pappadums with mint sauce came out immediately before ordering and were on the house. For my main, I opted for the Goat Chettinad chef's special and was not let down. The delicious curry sauce coating the tender meat was fresh, rich and abundant, leaving plenty spare to be scooped up with my moist garlic naan. The copper serving bowls were deceptively large and it was with regret that I was too full to finish – not a common occurrence for me. Even the raita side serving was huge. Not to matter though, as the staff scooped the remnants into a container for me to take home. Whilst good for a casual dinner for couples or with a friend, this licenced restaurant also seemed very popular for groups sharing a range of curry dishes and side options at the larger tables. Being part of the Black Forest Shopping Centre complex, there were plenty of spots in the centre's car park and access off of South Road was quite easy. To save disappointment, dinner reservations are recommended. 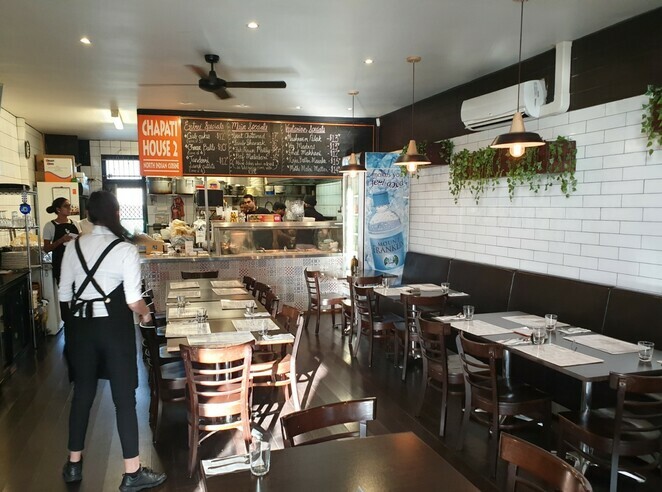 This place was hard to fault – the combination of the authentic flavours, generous portions, warm service and buzzy feel had me leaving satisfied and grateful for the experience. Excellent work, Will. Welcome to WN. All the best.